Cold and Flu Season is fast approaching! 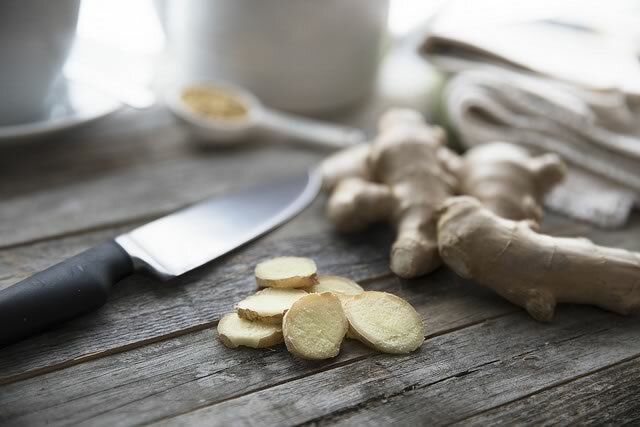 Time to stock up on some simple but effective home remedies. Keep Warm! Wear hats to keep in body heat in, scarves to keep the neck and thyroid area warm, and layers to keep the torso heat in to protect the internal organs (lungs, kidneys, digestive system, etc.) and of course, protective shoes to keep the feet warm and dry. You will be amazed at how much these simple steps helps our bodies keep strong and healthy during the rough winter season! Rest! Not always easy to do in today’s fast lane of living. However, our bodies are built to respond to the changing seasons, and like the plants and animals of the natural world, we have ‘internal clocks’ that signal when we should be ‘more active’ and when we should get more ‘rest’. We need to tell ourselves it’s okay to slow down and do less in the winter months. Eat Well! Food is the body’s fuel. The better the ‘fuel’ the better our ‘engines’ will run! Eat the best quality of foods you can and try to eat the foods highest in vitamins C and D. These are especially important in the winter because our bodies do not get enough sunlight to produce vitamin D, and our bodies cannot manufacture vitamin C. These are very necessary for a strong immune system. Good quality supplements are okay, but nothing replaces the naturally occurring substances our bodies need for optimum health. Okay, so you already feel like you’re coming down with the flu/cold… chills, scratchy throat, achy muscles and feeling out-of-focus…now what? 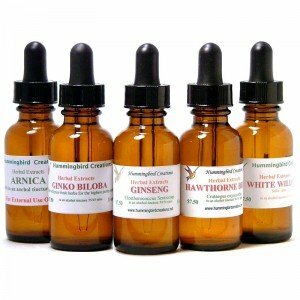 Take a dropper-full of Hummingbird’s fresh-made Echinecea Extract every couple of hours for the first two days. Then taper off to two to three times a day for a week. Wait five to seven days to repeat this if necessary. Hummingbird’s Astragalas Extract and Ginseng Extract (Eleuthro) are both immune boosters which can be taken several times a day, a dropper full at a time. Elderberry Extract is a traditional diaphoretic remedy to help promote sweating to help break a fever. 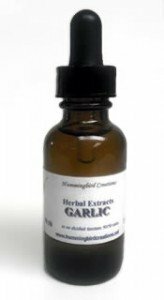 Hummingbird’s Garlic Extract is extra potent and a fabulous germ and virus killer! And adding a little raw honey with it boosts it power even more. Can be taken with tea or juice, or directly under the tongue – 30 drops (approximately 1 dropper full) three to four times a day until symptoms are gone. And last but not least: Try to keep a positive outlook on life. I find when I keep an ‘attitude of gratitude’, pausing to remember all that I’m grateful for in my life I just naturally feel better! These simple steps can save you expensive trips to the doctor, time missed at work or with your regular daily activities, and the suffering and misery of being sick. There’s little to lose by trying some of these home remedies first!